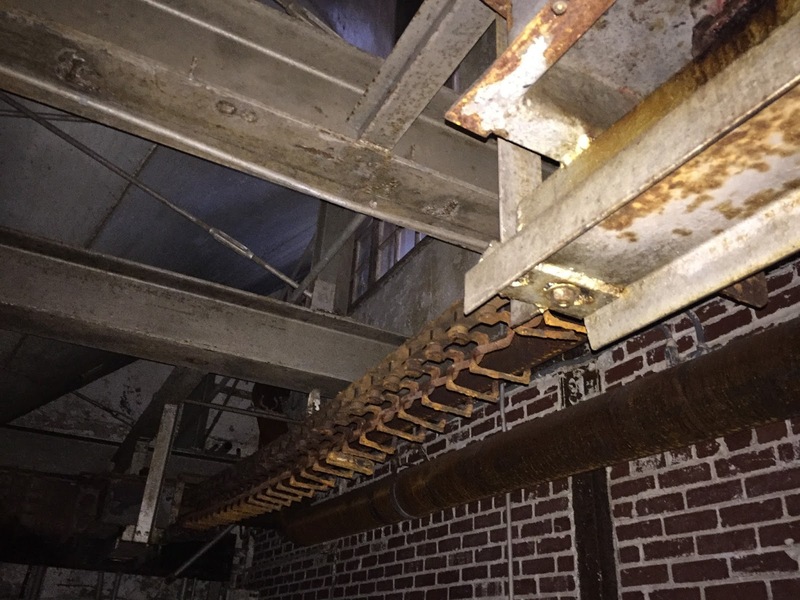 Working in a Distillery at the Turn of the Century; Unsafe at any Proof. I’ve written previously about how Bourbon gave the United States its first consumer protection law with the Bottled in Bond Act of 1897, and how the Pure Food and Drug Act of 1906 was influenced by the conflict between “straight” and “rectified” whiskey, but Bourbon lawsuits also give a glimpse of distillery working conditions at the turn of the century, which helped shape future workplace safety laws. This year marked the 45th anniversary of when the Occupational Safety and Health Act of 1970, better known by the acronym for its administrative agency, “OSHA,” went into effect. The Act was passed to prevent workers from being killed or seriously harmed at work, and OSHA sets and enforces protective workplace safety and health standards. By the mid-19th Century, distilleries were becoming mechanized, and like other factories of the time, they could be dangerous. Industrialization in the United States has a record of pushing for higher productivity, often at the expense of worker safety. Accidents typically did not deter owners because lawsuits could be defended easily; owners could defend claims by arguing that the worker was at fault, that a fellow employee was the cause (instead of the employer), or that an employee should have known better. While mines, railroads, and textile factories rightfully take their place in history as some of the most dangerous places to work, whiskey was not necessarily produced at the bucolic distilleries projected today by many brands and marketers. Distilleries and warehouses were dangerous places, with plenty of opportunities to fall to your death down warehouse shafts, to be crushed by milling equipment, or to be burned in explosions or scalded by boiling hot liquid. Making matters even more dangerous, the distilleries were factories, but they combined the risks of emerging industrial farms and milling operations with the mechanization of “modern” industry. 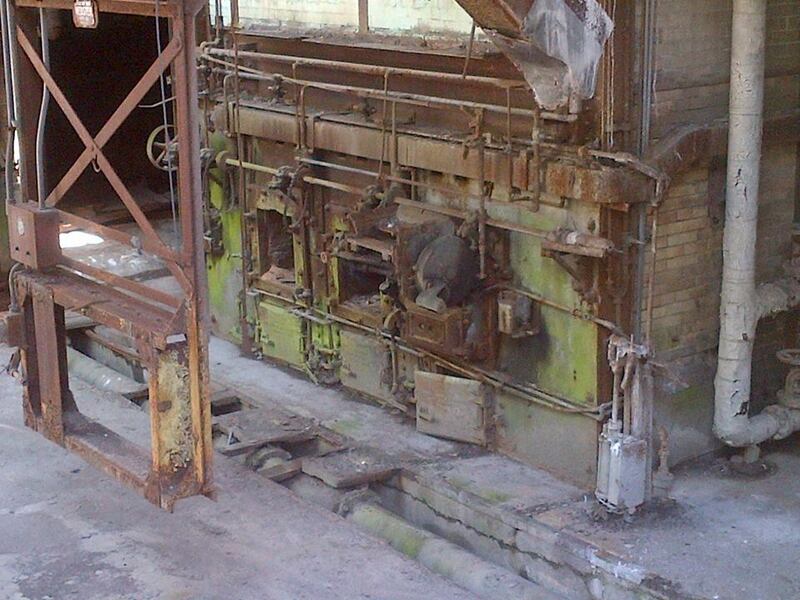 There were plenty of ways to die in these old distilleries. Lawsuits from the late 1800’s and early 1900’s paint a vivid picture of distillery working conditions as they describe the inner-workings of distilleries and warehouses, and then how gruesome accidents occurred. In Trumbo’s Adm’x v. W. A. Gaines & Co., 33 Ky. L. Rptr. 415 (1908), for example, a worker stepped through an uncovered hole in a dark warehouse elevator platform at the Old Crow Distillery, where his leg was caught in a 35-inch fly wheel and “ground in pieces.” The court described in detail the elevator shaft and machinery, how the accident happened, and how “after his injury Trumbo was given large quantities of whisky to drink in order to enable him to endure the pain he was suffering until medical assistance was obtained.” The worker soon died from his injuries, but his estate recovered nothing in court. The Old Crow Distillery’s “dry house” was also described in detail because of another injury case, W. A. Gaines & Co. v. Johnson, 32 Ky. L. Rptr. 58 (1907). The court described the 60-foot long shafting system with pulleys, sprocket wheels, run belts, and chains, and how Johnson was caught up in a 12-inch sprocket wheel that was spinning at 100 revolutions per minute, and permanently injured. Although the worker won at trial, the Court of Appeals reversed, telling the trial court to revisit the possibility Johnson was negligent himself. Poorly-lit working conditions seem to be a recurrent factor in these early cases. The Pogue Distillery was one of the most popular and prolific distilleries of the time, and it needed to run an overnight shift to keep up with demand. The worker in Dryden v. H. E. Pogue Distillery Co., 26 Ky. L. Rptr. 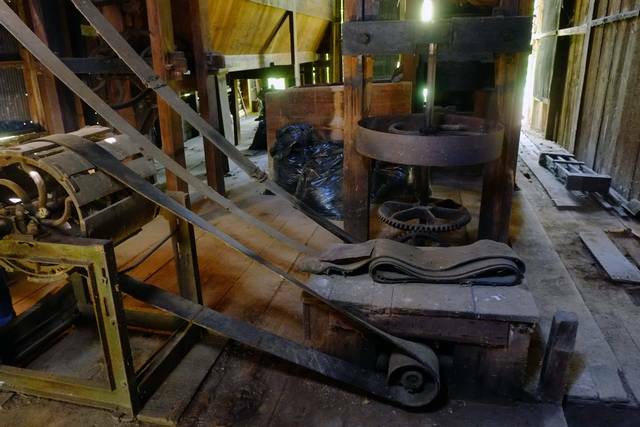 528 (1904) was assigned to the milling room, where “he was put to work by Will Mays [the miller] in raking the meal from what he calls the ‘shaker’ into rollers, by which it was ground, and which were about five inches below the shaker.” The problem was that it was 3:30 a.m. and there were no lights, and Dryden was unfamiliar with this particular job or the danger of the rollers. As might be expected, Dryden’s hand was caught and crushed by a grain roller, requiring amputation. Crushing injuries were just one of many ways to be maimed and scarred working at a distillery. The J. & J. M. Saffell Distillery operated just south of Frankfort on the Kentucky River. When the distillery superintendent asked a 13 year-old boy, who had come to the distillery with friends to pick up loads of slop, to help wash out a vat filled with scalding hot slop, catastrophe could have been expected. He asked the boy to climb to the top of the vat to help guide a hose, and he fell in, suffering third-degree burns to his waist, and “rendering him a cripple for life.” The boy’s story is told in a trio of cases, Wells v. Kentucky Distilleries & Warehouse Co., 144 Ky. 438 (1911), Kentucky Distilleries & Warehouse Co. v. Wells, 149 Ky. 275 (1912), and Kentucky Distilleries & Warehouse Co. v. Wells, 149 Ky. 287 (1912), including a detailed description of the slop tubs and distillery’s slop procedures. A worker at the Nelson Distillery Company, who was normally assigned to the meal room, was assigned to the mash room on his fateful day. The court in Kentucky Distilleries & Warehouse Co. v. Schreiber, 24 Ky. L. Rptr. 2236 (1903) described the size of the mash room and the mash tub, and the precise location and operation of the pipes leading into the mash tub. Specifically, the cold water pipe was turned on by reaching over the mash tub, but the scalding hot water was turned on out of sight in an adjoining room. Schreiber was instructed to open the cold water valve, but as he leaned in to do so, another employee opened the hot water valve, which soaked Schriber’s head, neck, body, and arms, causing severe burns. Explosions were common too (and, sadly, they haven’t been eliminated today). In Kentucky Distilleries & Warehouse Co. v. Johnson, 193 Ky. 669 (1922), the distillery was operating its bottling line overnight. The foreman called an employee back in after the end of the work-day, at 8:00 p.m., to dump 10 barrels of Bourbon if the holding tank was empty, so that “the girls” on the bottling line would have work for the night. Noting that federal regulations prohibited the distillery from blending Bourbon from different seasons (meaning that the whiskey was Bottled in Bond), the court explained that the foreman instructed Johnson to look into the holding tank to ensure that it was empty. The holding tank was a covered with a lid, and the foreman knew that alcohol vapors would collect in the tank, and could be ignited by a flame. Johnson, however, had never checked the tank before, and did not know about the dangers of using an open flame near the tank. Still, the foreman told Johnson to use his own lantern – which was “an ordinary railroad lantern” with an open flame – when checking the tank. Johnson testified that when he opened the lid and leaned in with his lantern, “It just caught me afire. When the lantern exploded it just flashed out, popped about like a cannon. … I was burned on my face and head; burned my hair all off; and both hands burned, too, there nearly to the elbow.” The medical evidence was gruesome. Johnson’s burns were so bad that his bones were exposed; the membranes of his nose, mouth, and throat were burned; and his hands were permanently deformed. 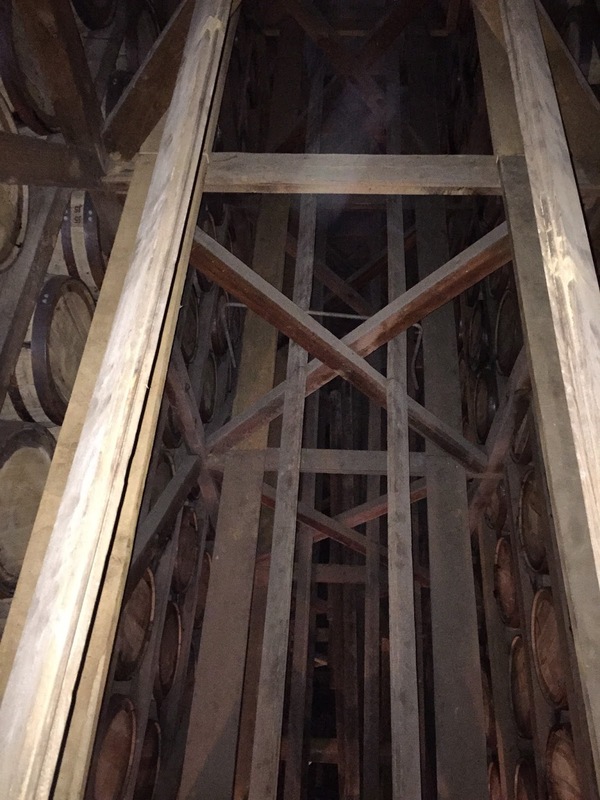 · Falling down elevator shafts, in the dark, where there were no guard rails around the opening (Enos v. Kentucky Distilleries & Warehouse Co., 189 F. 342 (6th Cir. 1911)). Many of these lawsuits provide detailed descriptions of distillery equipment, methods, and job responsibilities, much of which has otherwise been lost as advances were made in the milling, distillation, and warehousing processes, so they are an informative guide to the inner-workings of a turn-of-the-century distillery. The ghastly injuries, though, serve as a reminder of the progress we have made in workplace safety.